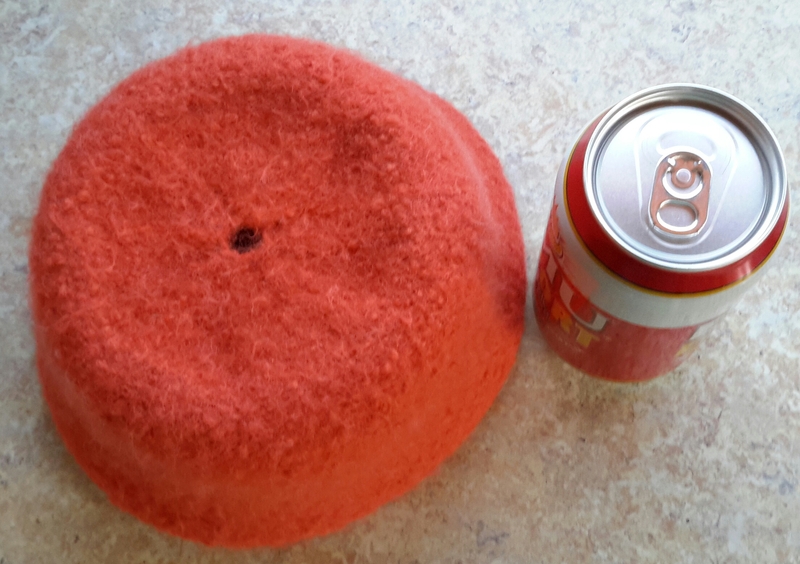 Knitting and felting (it) – part 2 – Craft-a-licious . . 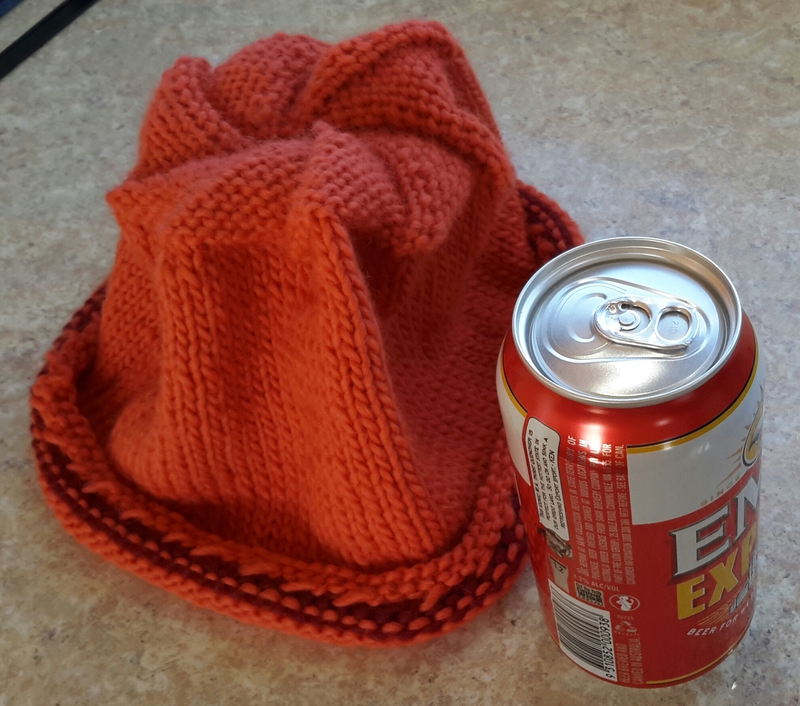 This post is about the results of my largish orangey experiment I mentioned previously. After getting reacquainted with the fabulousness of knitting then felting, I wondered if I could make a really solid (ie. inflexible) vessel, using Cleckheaton’s ‘California’ 8 ply yarn, which I could then fit a lid to. Summary: (so you don’t have to suffer my blatherings below) – I have to do it again. 1. All the thinking, hoping and intense pummeling, shocking and smacking of knitted object – will not necessarily provide the result you were after (she types with abraded knuckles and sore shoulders). 2. I really am amazed at how much this yarn felts up – it’s fantastic! 3. Now I’ve used up nearly all my feltable yarn for said experiment, the tyranny of distance is working against me for restocking at next available yarn supplier (700+ km away). Yes, when I restock supplies I’ll have to give the whole thing another go – taking these learnings (and a few others) into consideration for a more positive outcome (she types with crossed fingers!). Until then it’s relegated to the back burner .. like so many other failed project attempts – damn it! But the mantra for lots of we experimental crafters is “you’ll never ever know – if you don’t give it a go”. True for so many things in life. Anyhow, hoping your craftily doings are working out better-er than mine. Cath! Put a flower on that n wear it to the Melb Cup! Luving the colour. You didn’t explain for the ahem…slow learners…why it hasn’t lived up to your expectations? I obviously completely understand why, but Trashy is prob having a big ol ponder about it the poor lil lovely. So many experiments out there in the Never-Never Cath. You are a Craft Physicist! X! Deb! You know I sadly realised I’d forgotten to outline project failings once I’d hit the ‘post’ button – doh! .. I’m really glad you (unlike Trashy) know the disappoint was that it didn’t felt hard enough, even tho I tried and tried. Melbourne Cup head wear – hmmm – you might just be right! Feltiefare you are too kind to say it can still be used for something. It shall probably end up on the craft failure composting pile at the back of my dusty cupboard😞. Indeed that yarn is impressive tho! Pingback: Tan lines of spring | Craft-a-licious . . Thanks for your kind comment Teri Berry. 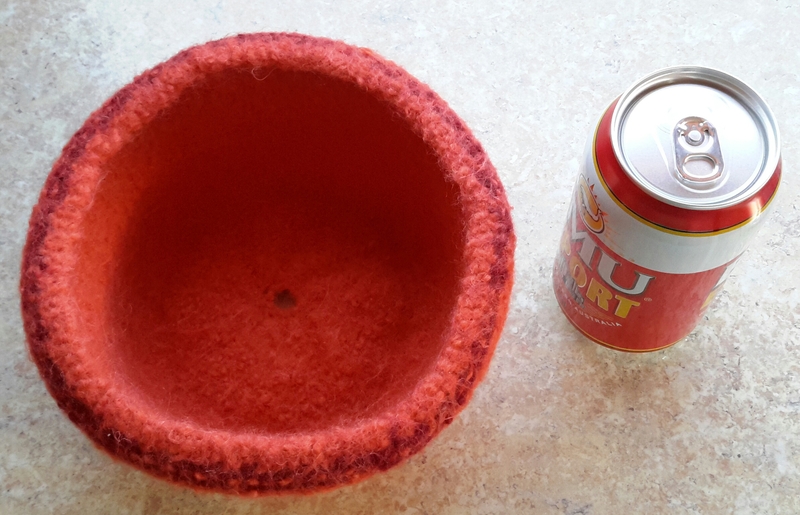 Unfortunately the bowl did not have the felted thickness I was after, as it was an experiment to see if I could knit then felt a teapot. Sadly, I neglected to mention this (rather important!) detail in my blog.. Glad you like the beer can comparison too!